What Is AnnonyTun VPN ? 4. Now hit the GENERATE button to save your settings. NOTE:You can save yourself the stress of going through the above steps by downloading and importing this Annonytun config file below. 6. Now choose any server of your choice and connect it. It should connect instantly without any glitches. Enjoy, and feel free to lay any complaint and issue you encountered while activating it and we will be glad to help. 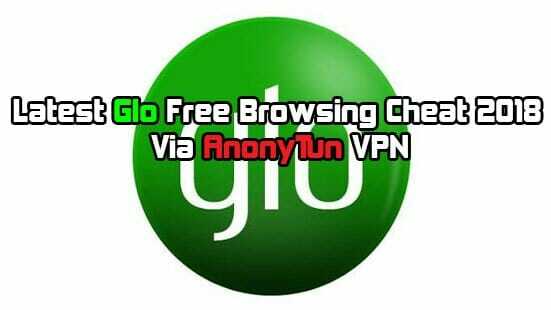 Note:This Glo free browsing cheat works only on Glo 3g sim cards, Why? Because with Glo 3g sim you can turn on your data plan with or without airtime or Active Data plan. So what are you waiting for?? go grab your Glo sims and start surfing the net.